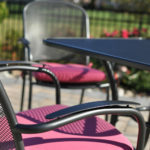 With its all-weather aluminum frame, the Marina has a woven nylon seat and back. 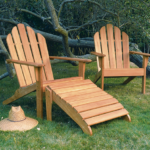 Available with a mahogany aluminum frame with a beige-burgundy seat, natural aluminum frame with a beige-green seat, and a light walnut frame with a beige-brown seat. The design of the Kingsley Bate Culebra collection recalls the windswept beauty of the Spanish Caribbean, with flowing lines and its textured charcoal wicker that simulates vintage, weathered furniture. 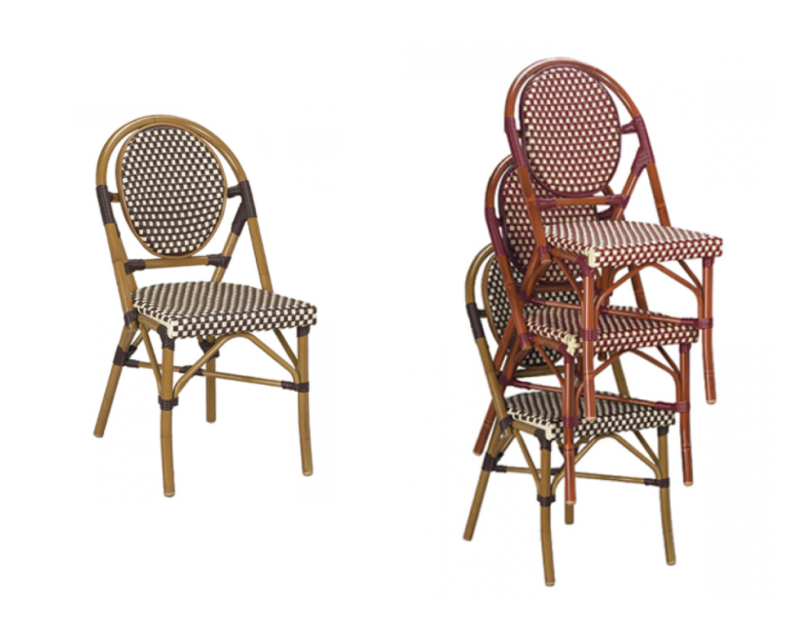 The dining side chair is hand woven around a rustproof aluminum frame for exceptional quality and lasting enjoyment. 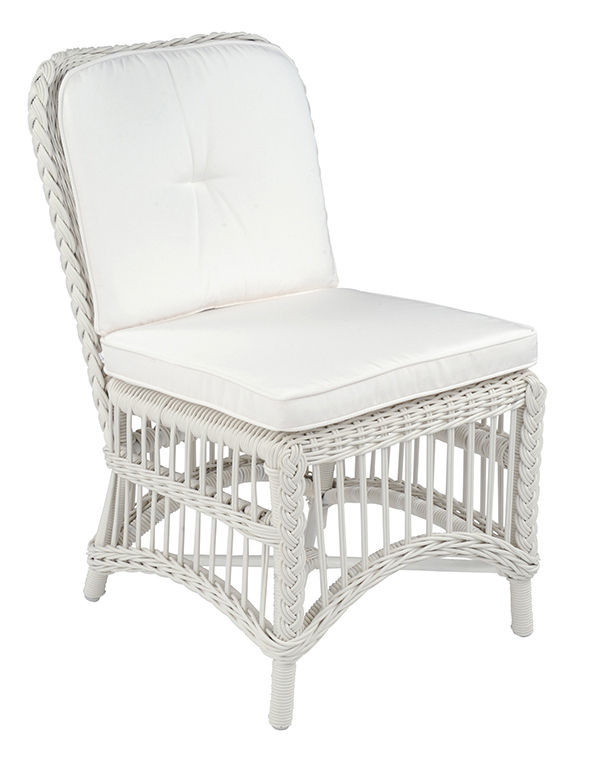 The Kingsley Bate Sag Harbor dining side chair is hand-woven in a premium extra-large fiber, making for heavier and more substantial seating than standard outdoor wicker chairs. The chair pairs beautifully with an assortment of teak dining tables, whether they are the golden-brown color of new teak or have weathered to silver-gray. 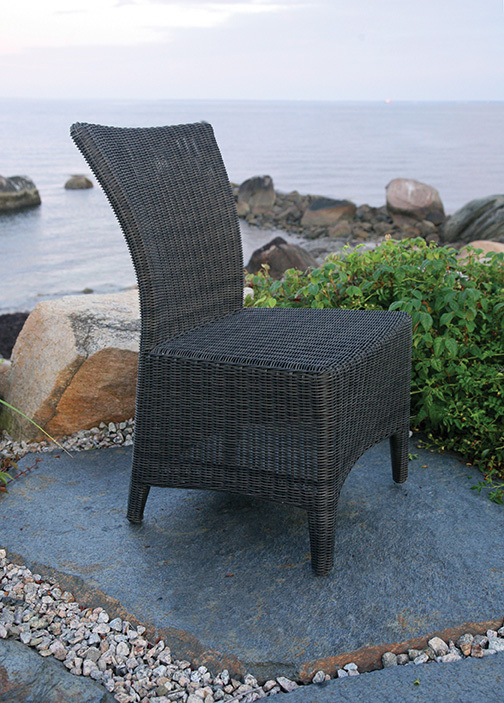 The premium fiber is expertly hand-woven around a sturdy aluminum frame for years of enjoyment. 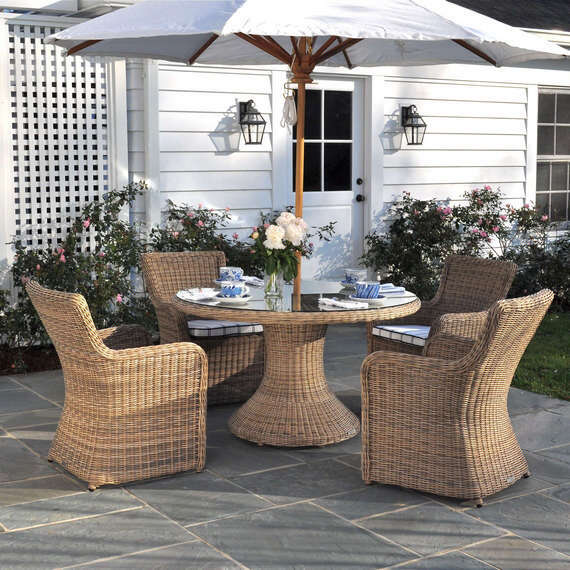 The Sag Harbor 52" Round Dining Table is hand-woven in a premium, extra-large fiber making it heavier and more substantial than standard outdoor wicker furniture. The dining table has a pedestal base and comes with a clear, tempered glass top. The Kingsley Bate Chatham collection is carefully crafted by hand with a classic open-weave design. 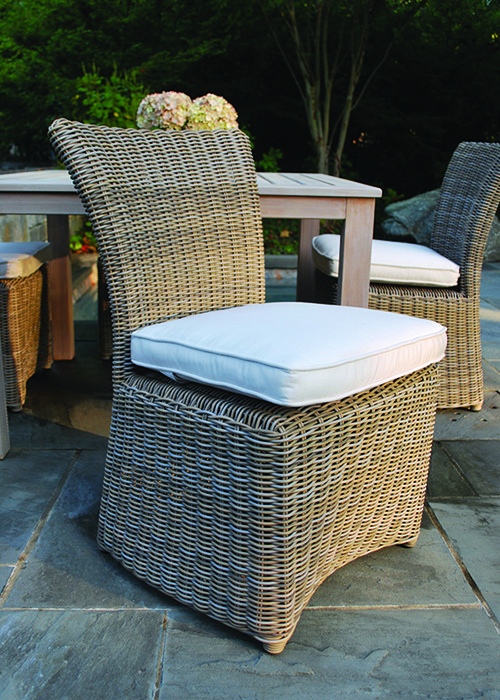 The dining side chair is constructed from rustproof aluminum and only the finest all-weather wicker.